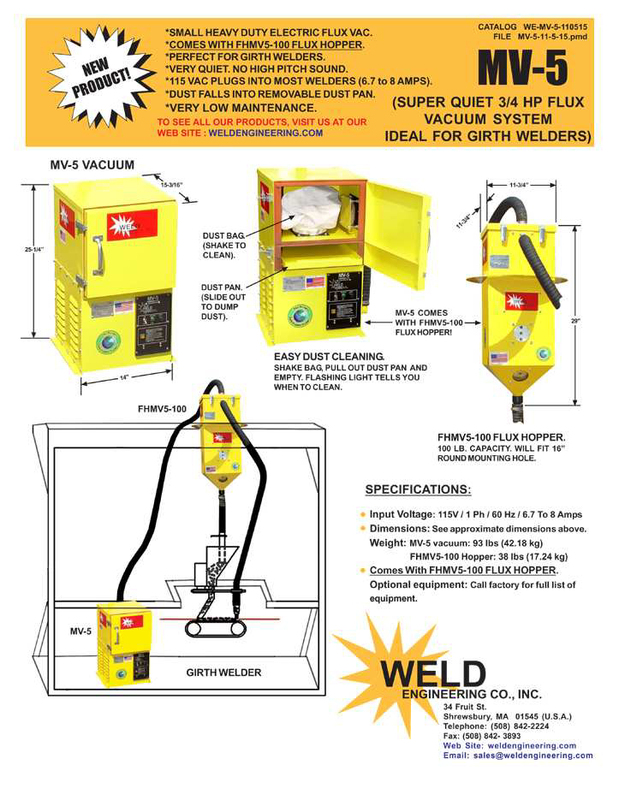 The MV-5 is a quiet 3/4 HP sub-arc flux vacuum system ideal for storage tank welding. "World's Largest and most Complete Manufacturer of Submerged Arc Flux Handling Systems." 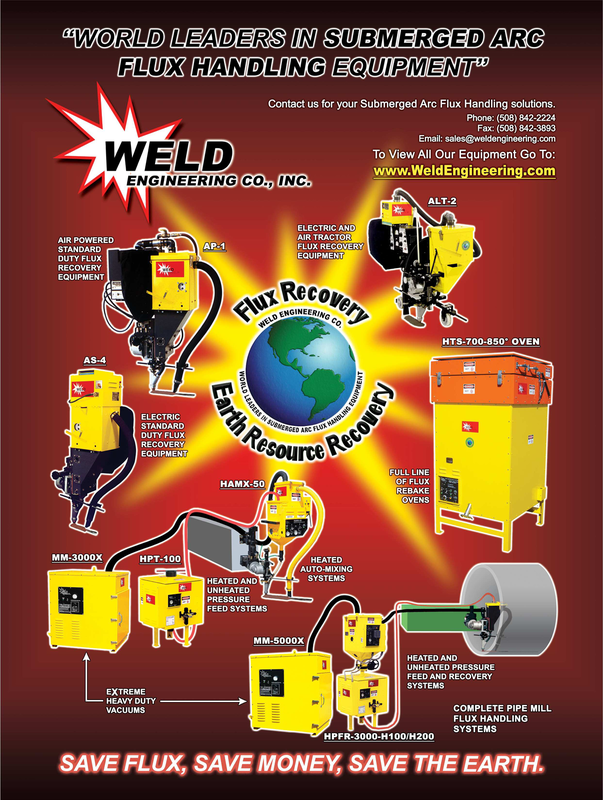 * Flux Recovery for Standard Duty (single welding head and Tractors) and Extreme Duty Welding (Pipe Mills, Multi-arc and Series Arc systems). Flux Pressure Feeding, Auto-Flux Mixing and Recovery systems. * Flux Ovens for Storage and Re-baking. Temperature ranges to 454 degrees C (850 degrees F). Capacities from 45 Kg (100 lbs) to 340 Kg (700 lbs). * Accessories: Flux Hoppers (heated and not), Pressure feeding tanks (heated and not), Automatic Transfer valves between hopper and Pressure Tanks. Flux valves for Most OEM flux hoppers including Lincoln and Miller Electric. Full array of Flux Recovery Nozzles and hose Mounting Brackets. Magnetic Separators for all of our flux Hoppers. Low and High level Sensors. Heavy Duty Recovery and Vacuum Hose. (Pressure Feeding Tanks are only ASME certified).